Click here for essay with embedded video of the above “Breaking bread” YouTube. For Don’t Tell Mom video only: “Too idealistic.” August 18, 2015, NorCal Peace Corps Story Jam at Dark Theater. Dwayne speaks to Unitarian Church in San Rafael. Robert Airhart’s Airbaja Productions for People’s Lobby’s (PLI) and People’s Lobby Education Foundation (PLEF). World Service Corps, 21st Century Marshall Plan. American World Service Corps (AWSC): Winning the peace through ideas, nation building, and common sense. Gold Star Mom Nadia McCaffrey speaks of the need to create Veterans Villages to help our returning vets. People’s Lobby’s Dwayne Hunn speaks of the need for citizens to lobby Congress to introduce and pass the American World Service Corps Congressional Proposals, which would field 21 million American volunteers over the next 27 years. Four-star Marine General Anthony Zinni comments on Peoples Lobby’s citizen-initiated American World Service Corps Congressional proposals coming from California’s 6th Congressional District. Freedoms Forum interview of November 2006. Former Pennsylvania Senator Harris Wofford, who helped establish the Peace Corps and Americorps, comments on the need to build a robust national service corps, as proposed in People’s Lobby’s citizen-initiated American World Service Corps Congressional Proposal. Senator Byron Dorgan, Chair of Democratic Policy Committee, without knowing “details” of Peoples Lobby’s citizen-initiated American World Service Corps Congressional Proposals comments on “positive” benefits of nationals service and of “giving back.”. Comcast Cable Local Edition’s. Jerry Hanson interviews Dwayne Hunn on substance of World Service Corps. If you use Dial Up (56kbps) click this link. Five minutes. August 2005 taping. Comcast Cable Local Edition’s. Jerry Hanson interviews Dwayne Hunn on substance of World Service Corps. If you use Cable or DSL click this link. Five minutes. August 2005 taping. Comcast Cable Local Edition’s. Jerry Hanson interviews Dwayne Hunn on substance of World Service Corps. If you use Dial Up (56kbps) click this link. Five minutes. SEPTEMBER 2005 taping. Comcast Cable Local Edition’s. Jerry Hanson interviews Dwayne Hunn on substance of World Service Corps. If you use Cable or DSL click this link. Five minutes. SEPTEMBER 2005 taping. 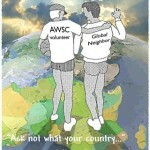 To link to several AWSC videos go to http://video.google.com/ and type “American World Service Corps” in the search box. Dismayed by government? Think citizens can sometimes do as well? 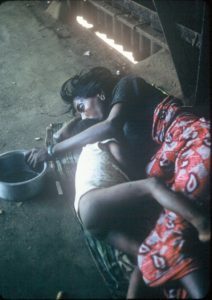 Could implementing Peoples Lobby’s American World Service Corps Congressional Proposals dramatically improve the world? Can our policies become much smarter by having a million American World Service Corps volunteers serve annually for the next generation? Mel VanDusen , ofMountain View ’s KMTTV, interviews Peoples Lobby Executive Director, Dwayne Hunn, in April of 2006. Part 1 of 2. Learn more at www.WorldServiceCorps.us and www.PeoplesLobby.us. Part II (2nd half) of KMTV15 World Service Corps show with Mel Van Duessen in April of 2006 in Mountain View, California. Fifteen minutes. People’s Lobby &the World Service Corps 60 minutes on The Public Advocate, Marin County, California March 15, 2006 — 60 minutes with host Shirley Graves. Part I. About 20 minutes. Part II People’s Lobby &the World Service Corps on The Public Advocate, Marin County, California March 15, 2006 with host Shirley Graves. Part II. About 20 minutes. Part III People’s Lobby &the World Service Corps on The Public Advocate, Marin County, California March 15, 2006 with host Shirley Graves. Part III. About 20 minutes. You Tube KMTV opening segment. Peace Corps service and People’s Lobby’s initiative work inspired creation of American World Service Corps Congressional Proposals.